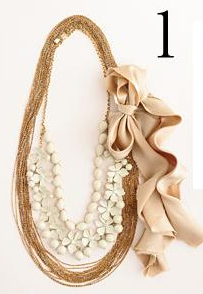 This necklace is obviously from JCrew. 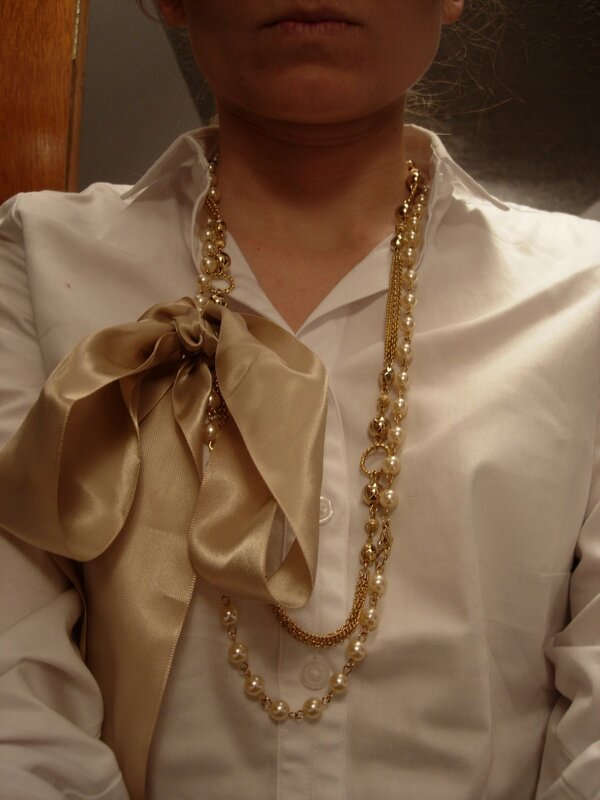 But this one I created using a couple strands of gold necklaces that I already had and this ribbon, which I used to tie the two necklaces together on the side creating a similar look as the JCrew necklace. I didn’t have to buy anything. Even though I still think the JCrew one looks better, I think a good way to create the large statement necklaces we have been seeing is to double up on strands of your own necklaces.